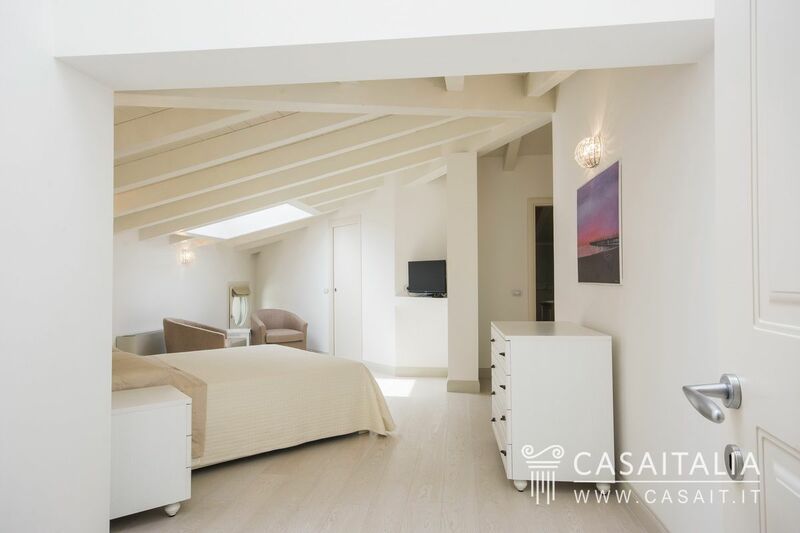 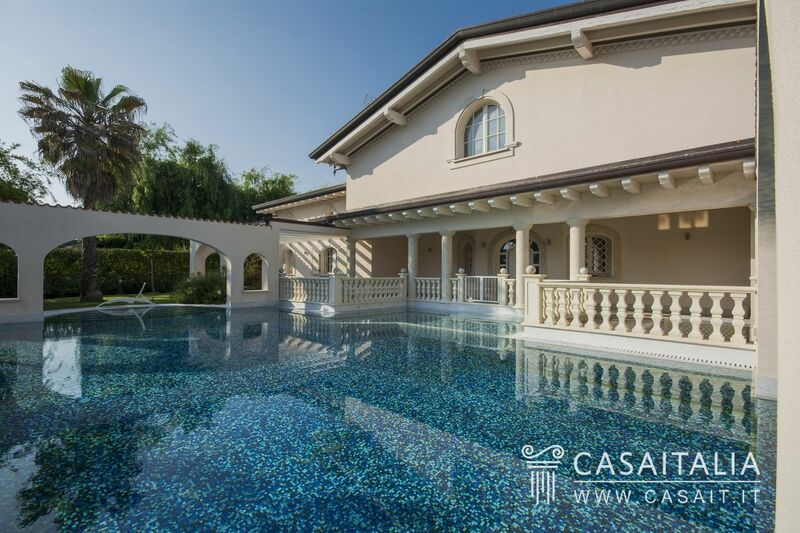 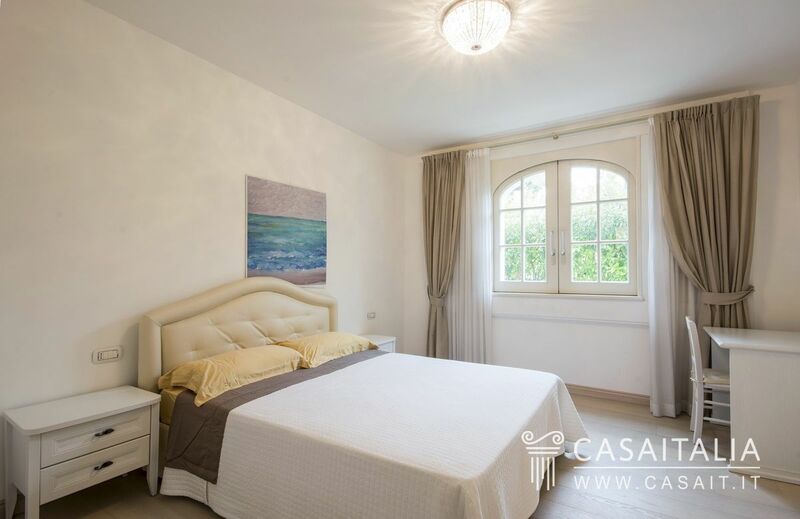 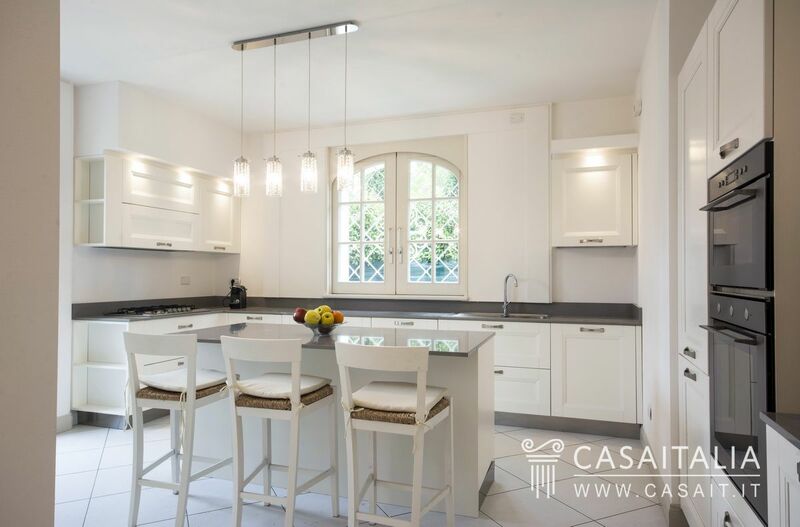 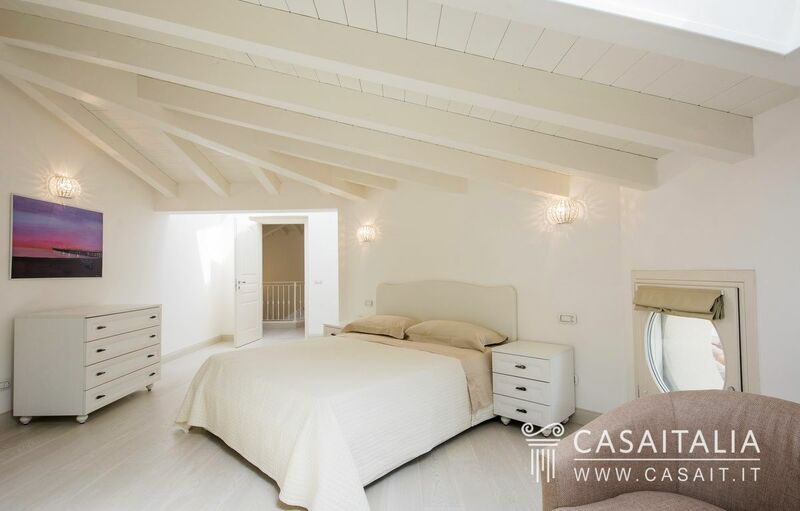 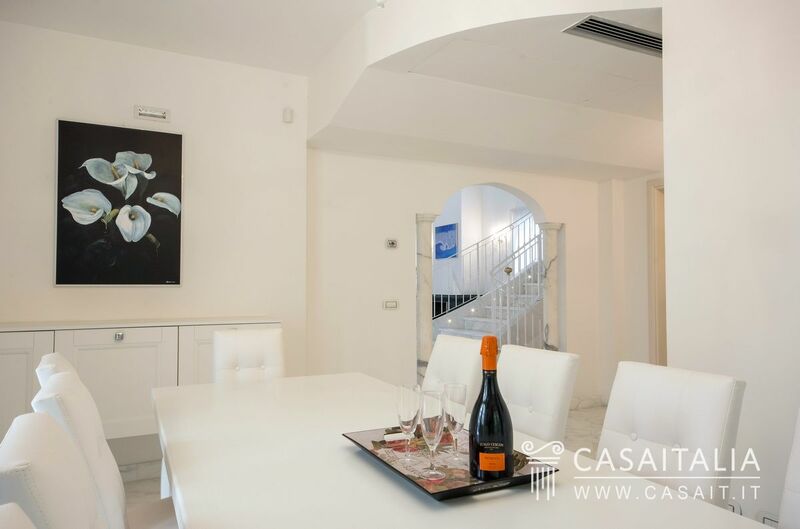 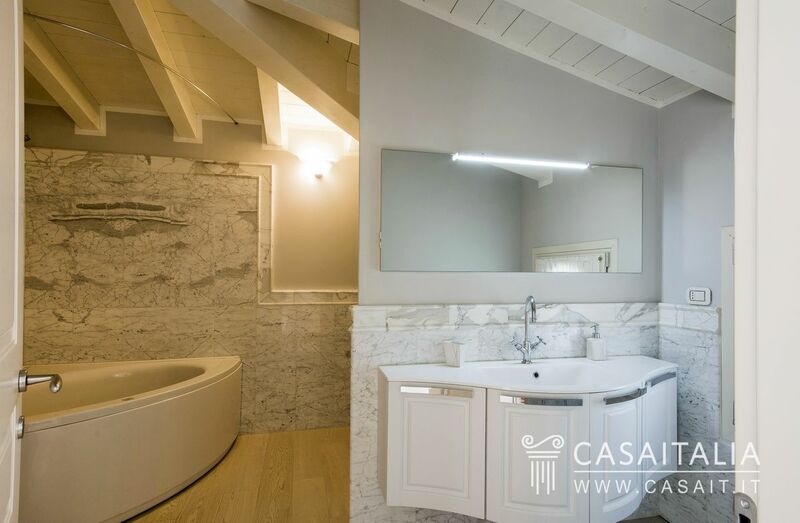 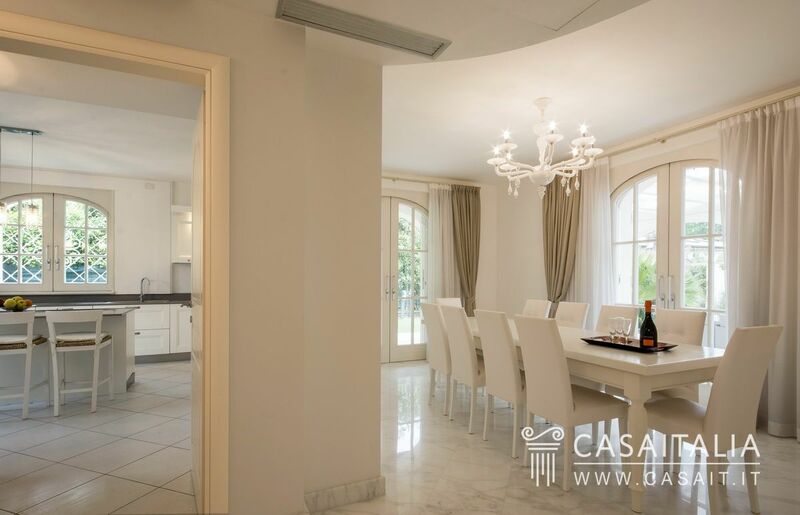 Newly built luxury villa with pool and 900 sq.m garden, in residential area in Forte dei Marmi. 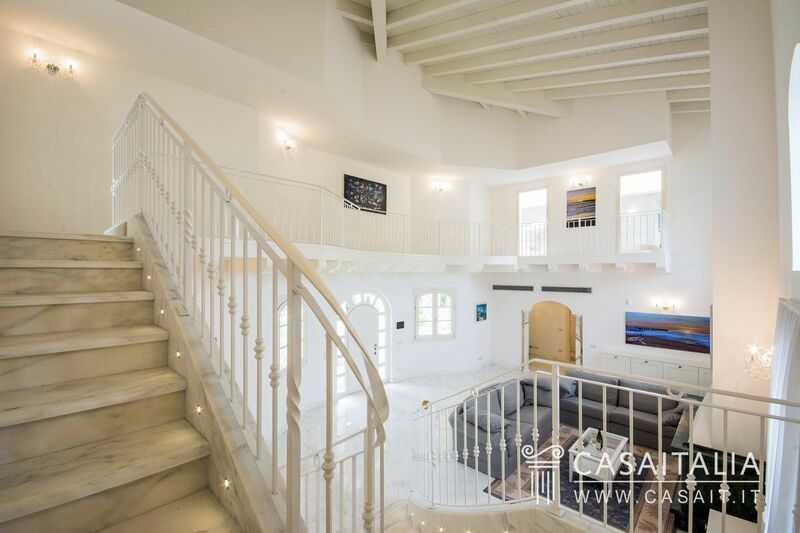 Measures 797 sq.m in total over three floors, and comprises spacious, impressive living area, 6 bedrooms, 9 bathrooms, cellar, garage and three covered parking spaces. 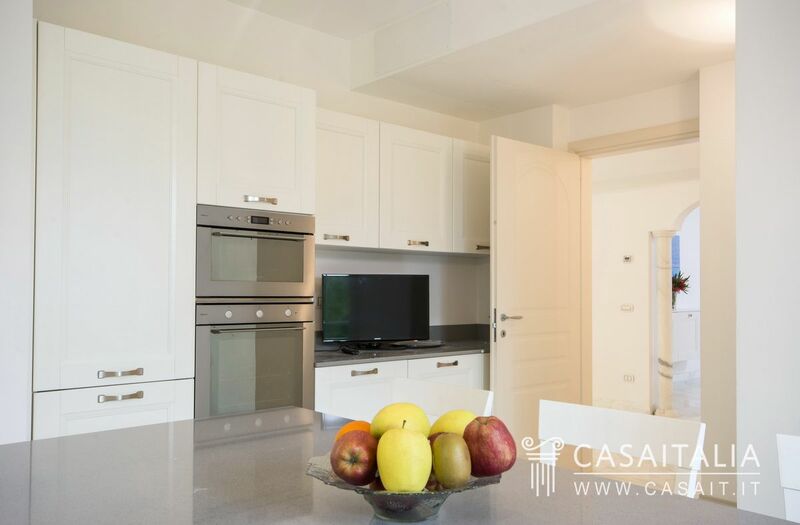 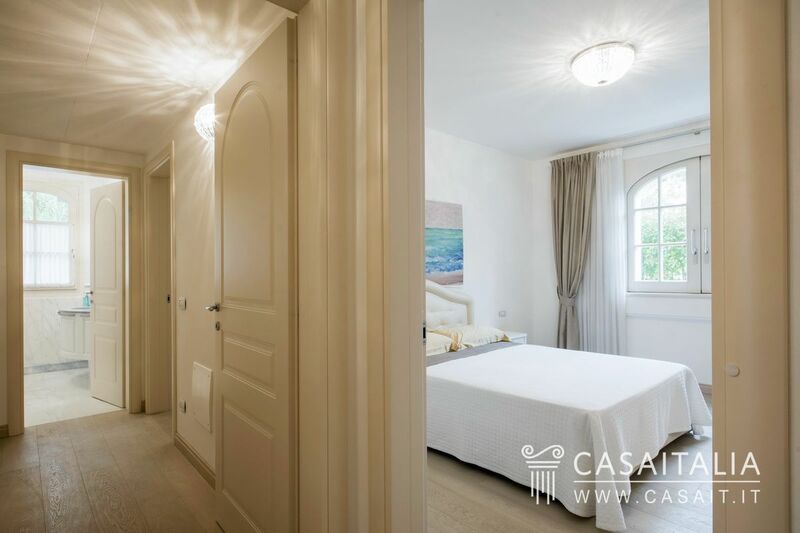 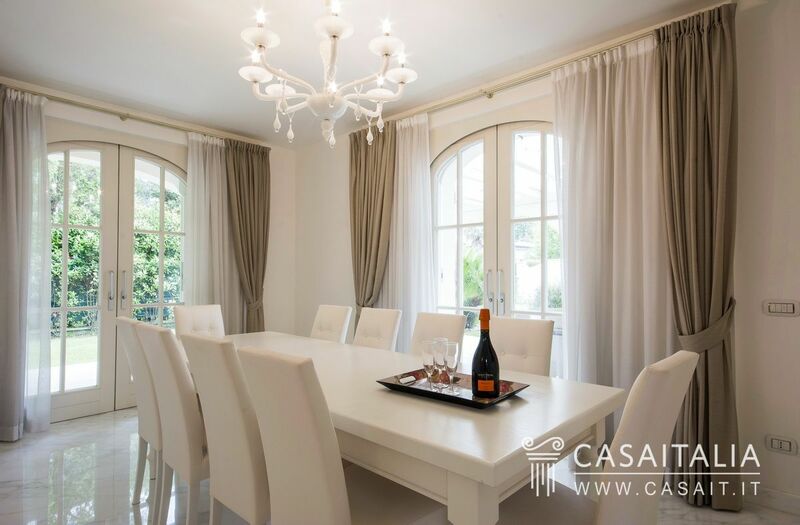 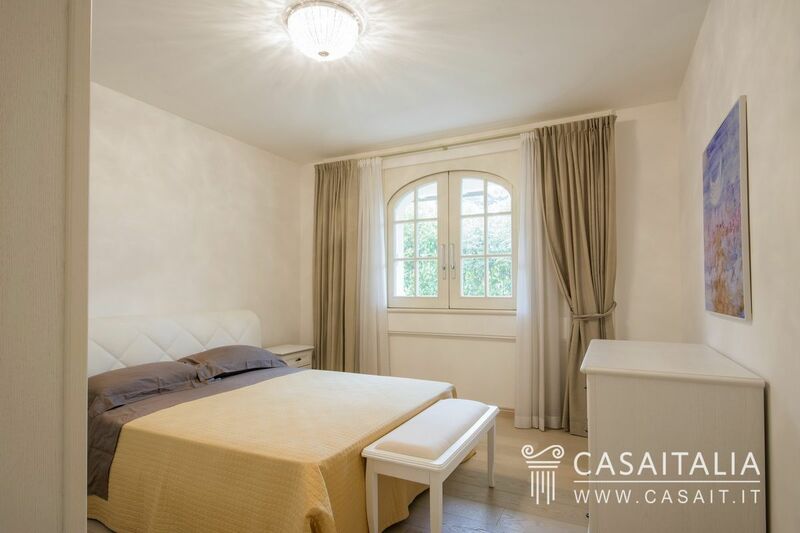 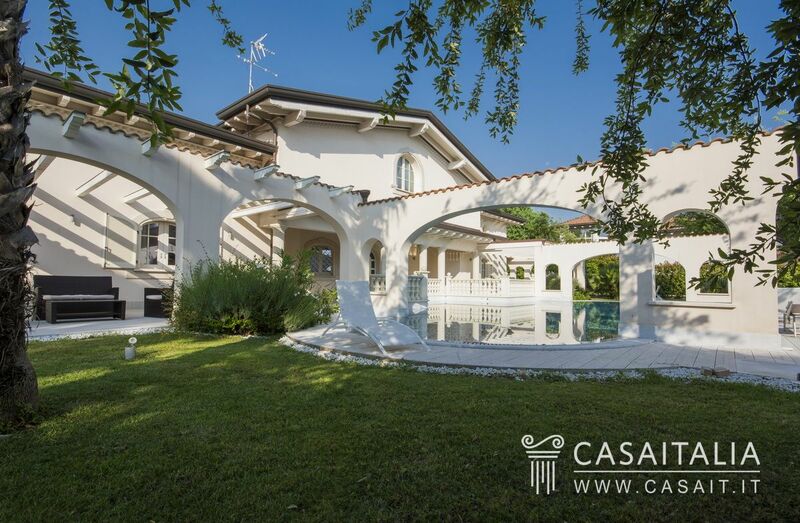 Villa Lucrezia is situated in the enchanting town of Forte dei Marmi, famous throughout the world for its beaches, the iconic Apuan Alps overlooking the town, its excellent restaurants, luxury shopping and the beautiful walk along the promenade. 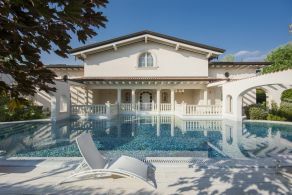 Forte dei Marmi is known in Italy and abroad as an exclusive, upmarket town and many of its residents have been part of the jet set. 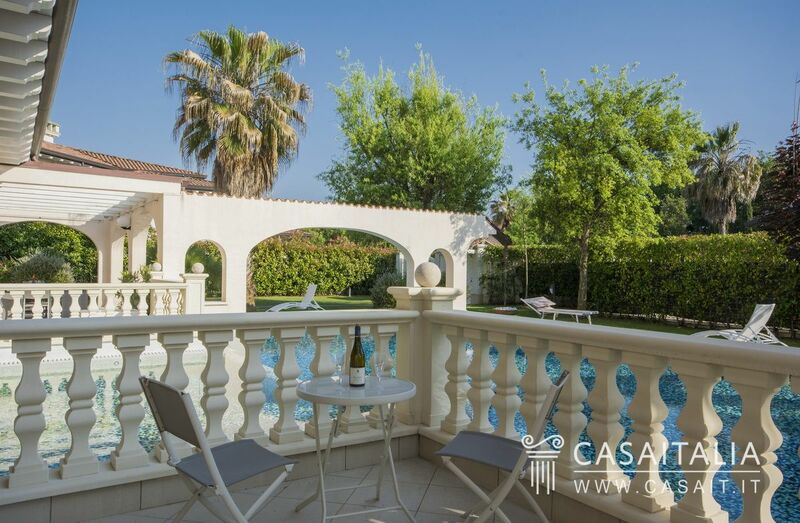 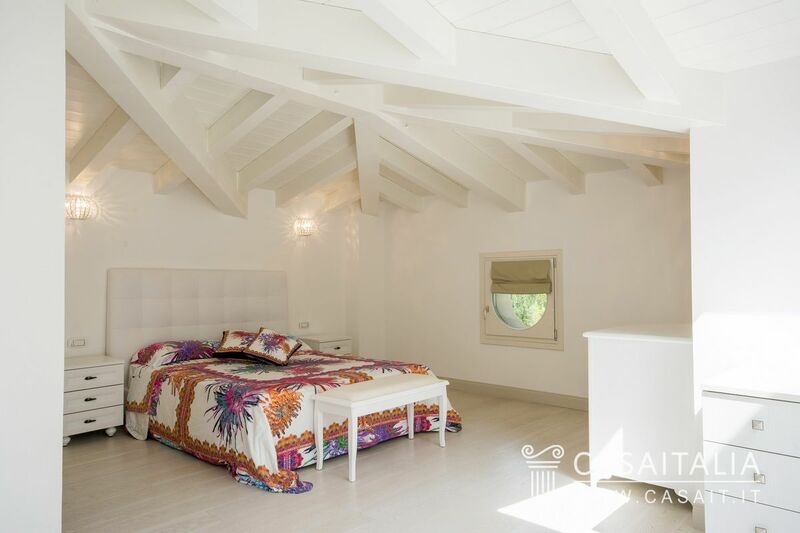 Villa Lucrezia is a few minutes from the centre and the beaches, located halfway between the two, where privacy, peace and quiet are guaranteed. 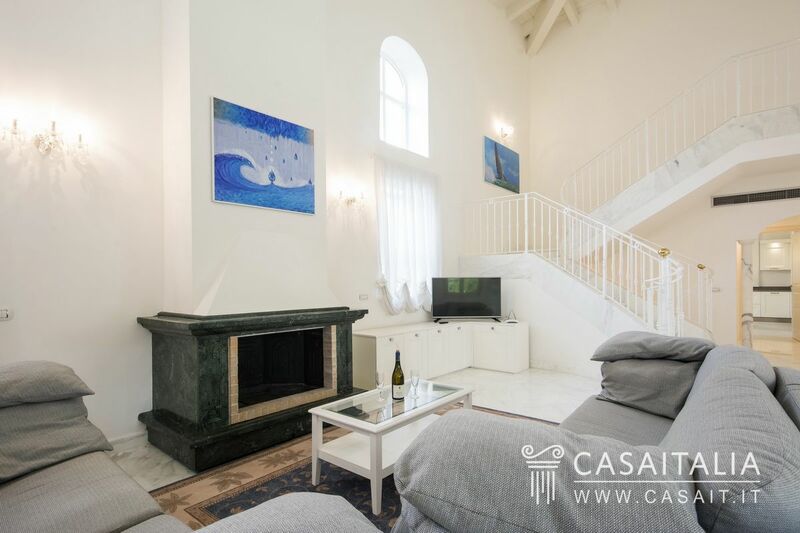 Its geographic location makes it an easy, quick drive to many interesting tourist and cultural destinations: Viareggio (20 km), Pisa (30 km) and Lucca (35 km) are less than half an hour’s drive away, while in around an hour you can be in the famous “Cinque Terre” (60 km) or Florence (100 km). 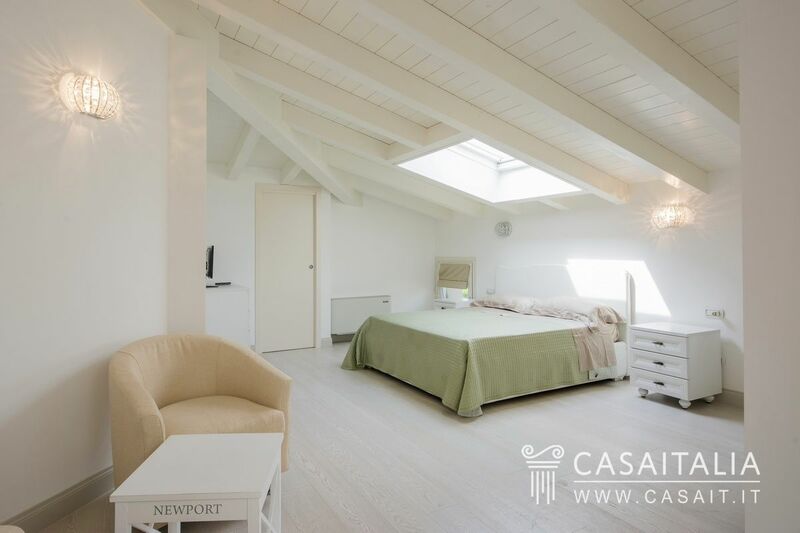 The nearest airport is Pisa, just 35 minutes’ drive away (30 km), Florence International airport is around an hour’s drive (100 km) and Genoa airport (135 km) is an hour and a half away. 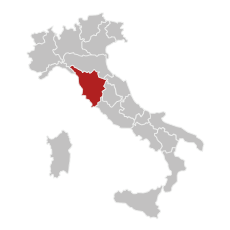 Massa-Cinquale’s Municipal Airport is also available for private flights and is 15 minutes away (4 km). 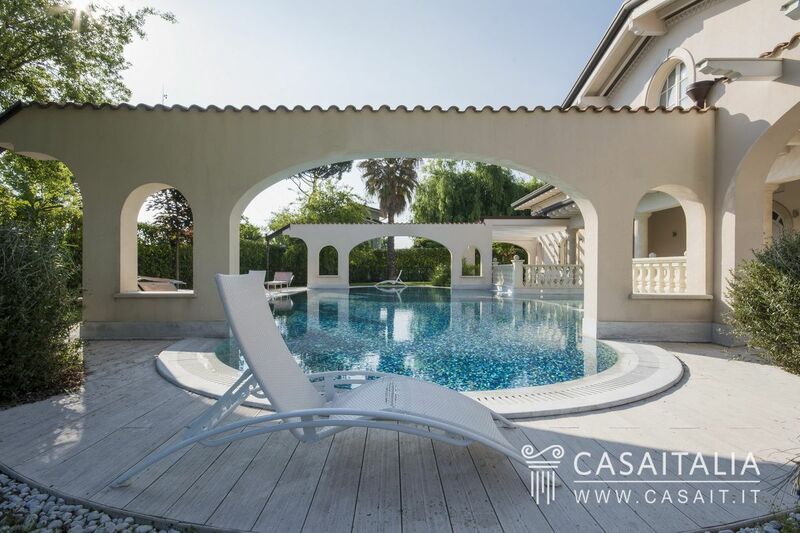 The villa is situated within a completely gated residential complex made up only of villas of a similar style. 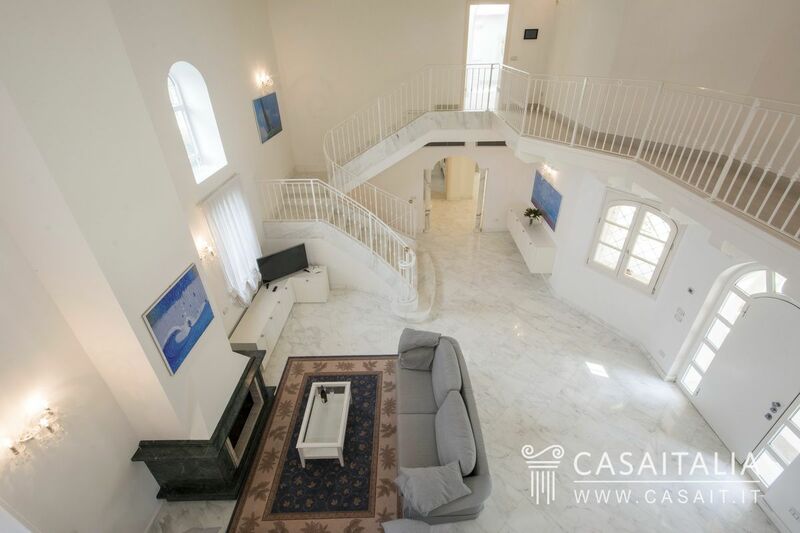 The residence has three floors, and measures 797 sq.m in total. 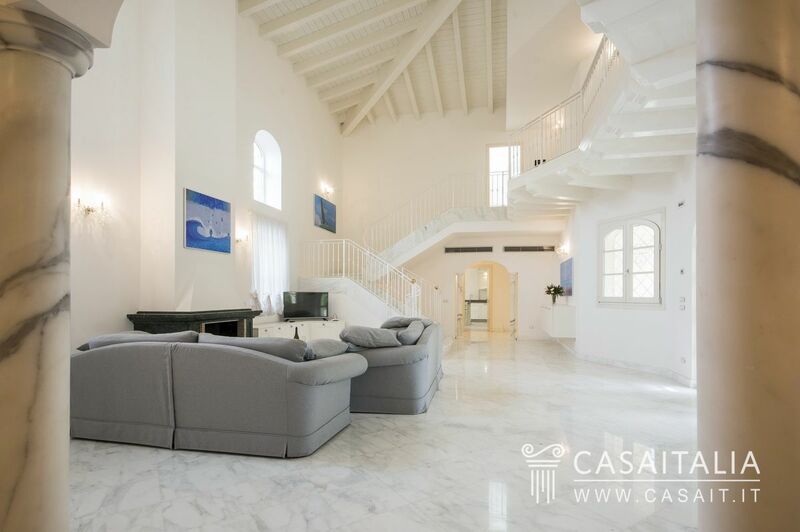 On the ground floor, which measures around 247 sq.m in total, the main entrance hall takes you into a large living room whose ceiling is as high as the house itself, which faces a large portico in the Pompeian style (with typical columns) measuring around 120 sq.m. 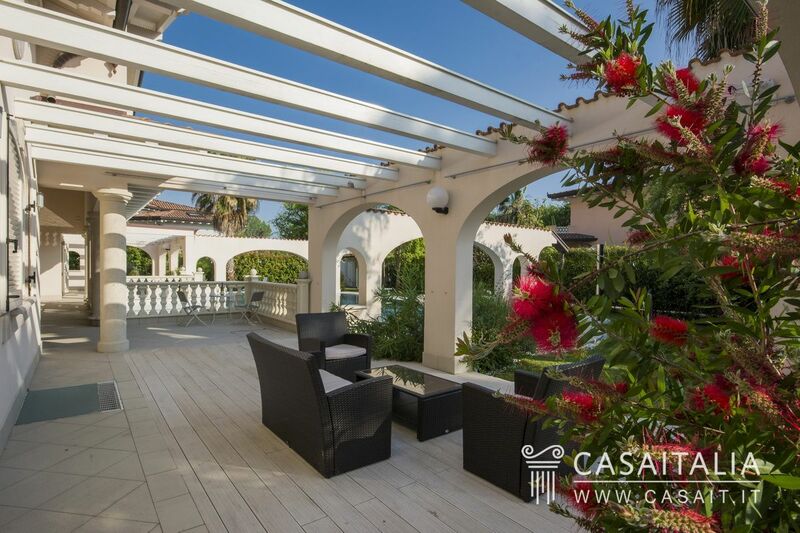 In front of the portico is the swimming pool measuring over 100 sq.m and the garden, measuring around 900 sq.m. 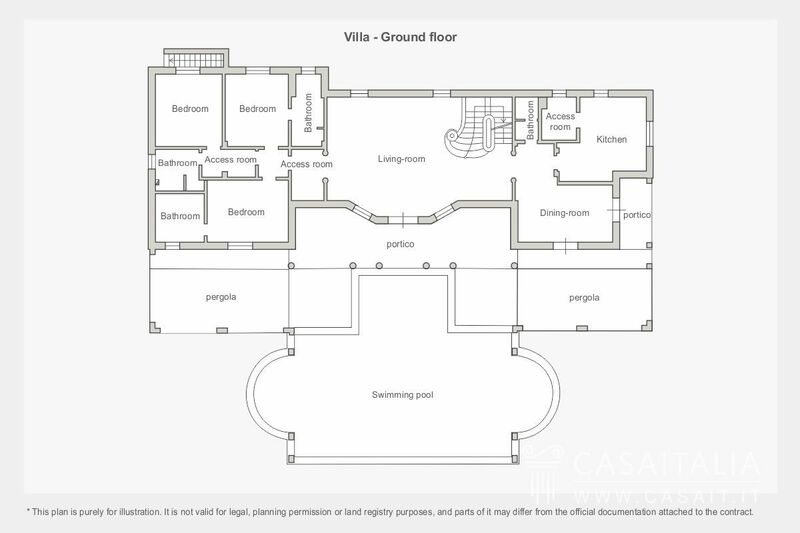 To the right of the living room, there is a sleeping area with three bedrooms and three bathrooms, while on the left there is the dining room, the kitchen with pantry and a bathroom. 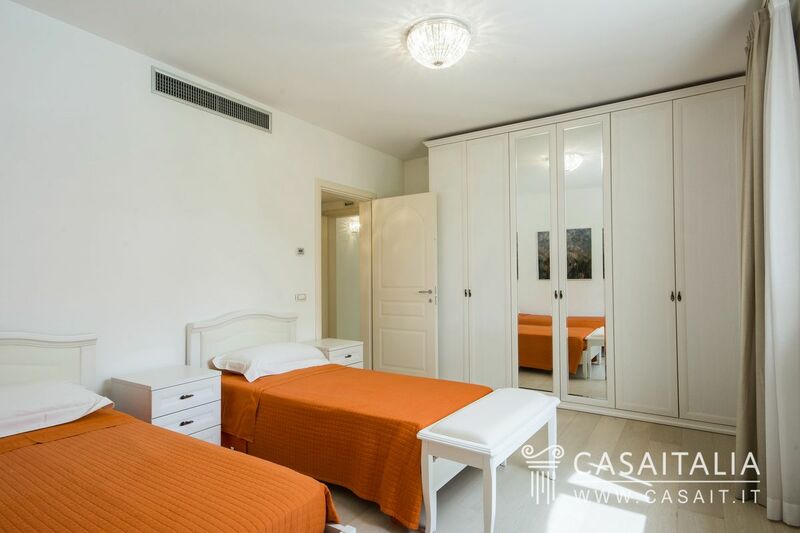 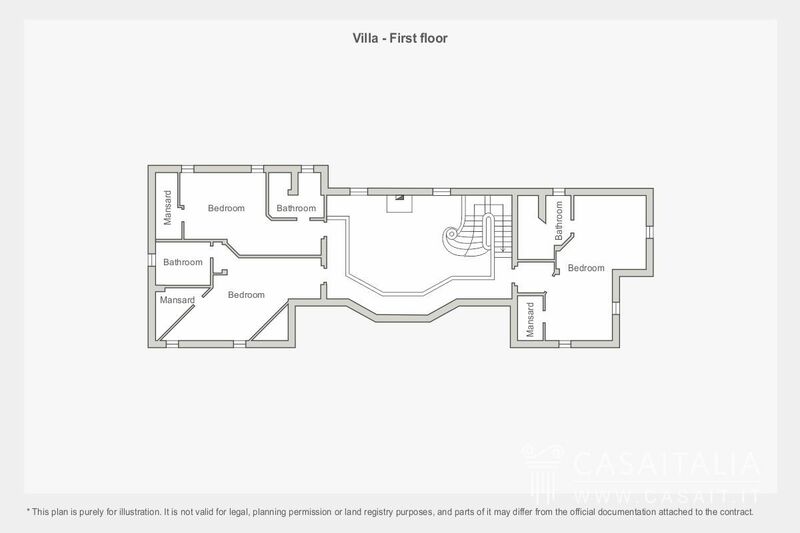 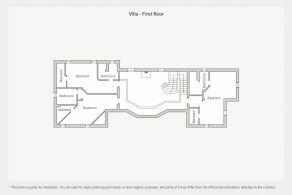 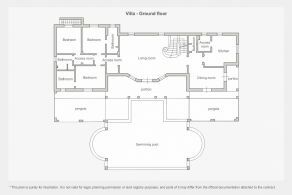 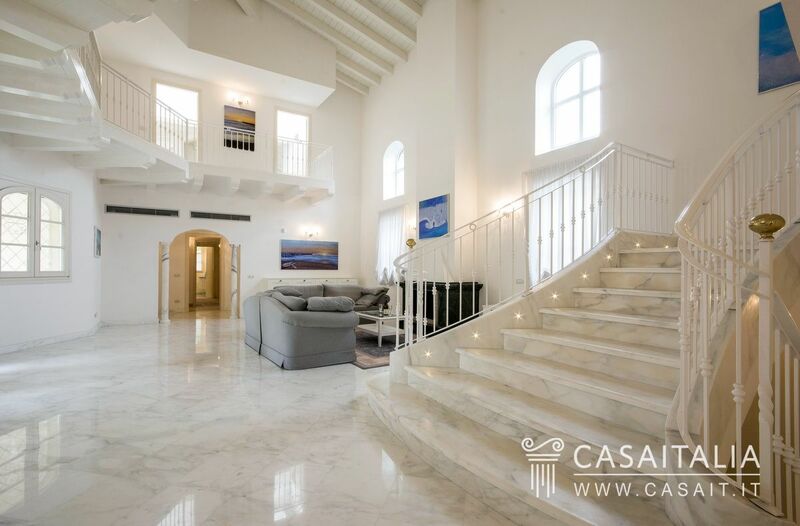 The first floor, measuring around 200 sq.m in total, is divided into two wings: the north wing, with two bedrooms and two bathrooms, and the south wing, with another bedroom with bathroom. 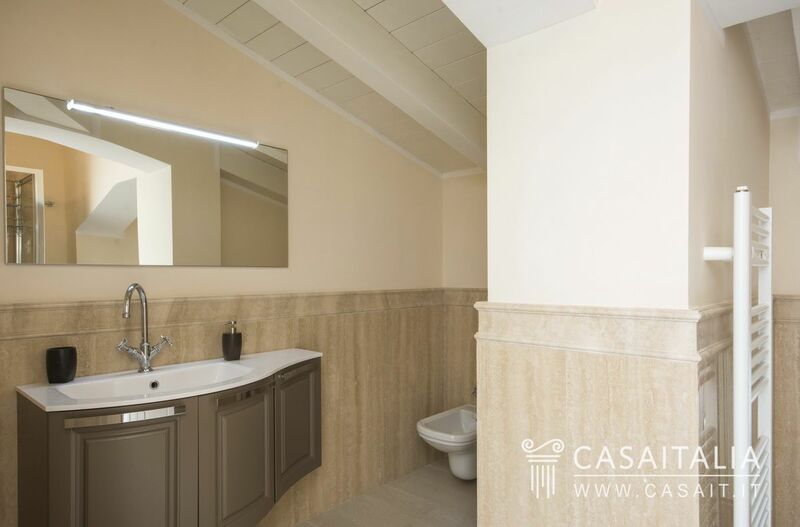 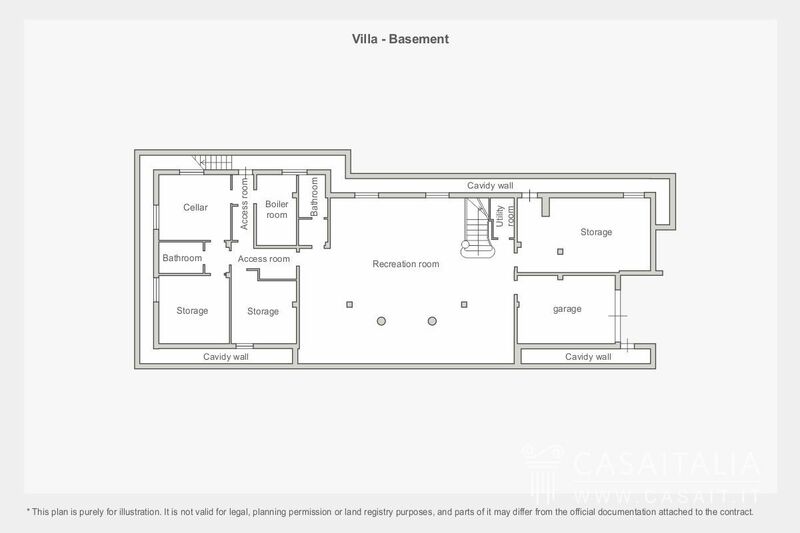 The basement, measuring around 350 sq.m in total, comprises a large cellar, another three areas, two bathrooms, a storeroom measuring over 30 sq.m and a garage which is accessed via an underground ramp where there is room for 3 cars. 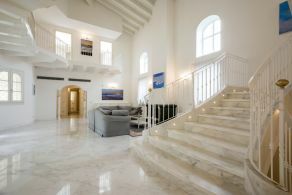 The Villa is newly built and was finished in 2017. 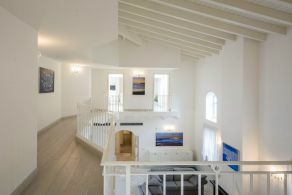 The energy-saving solutions and the materials used are state-of-the-art and earn the property a Class A energy certification. 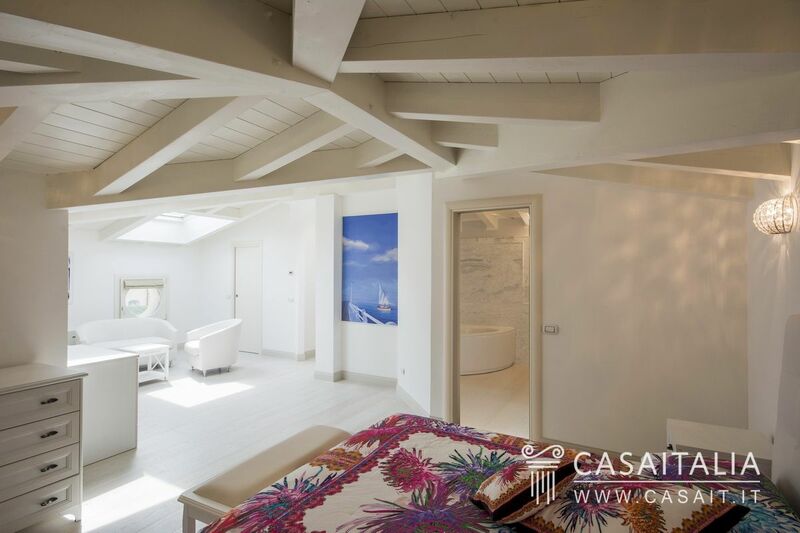 The interior finishings are of the highest quality, all the materials used are among the best on the market, and the same can be said for those of the exterior, from the fully laminated Pompeian woods to the pool sidings, all in top-quality ceramic. 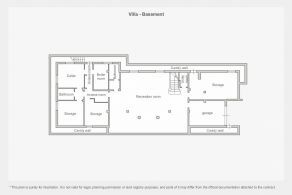 The villa features home automation, with connected functions for convenient use. 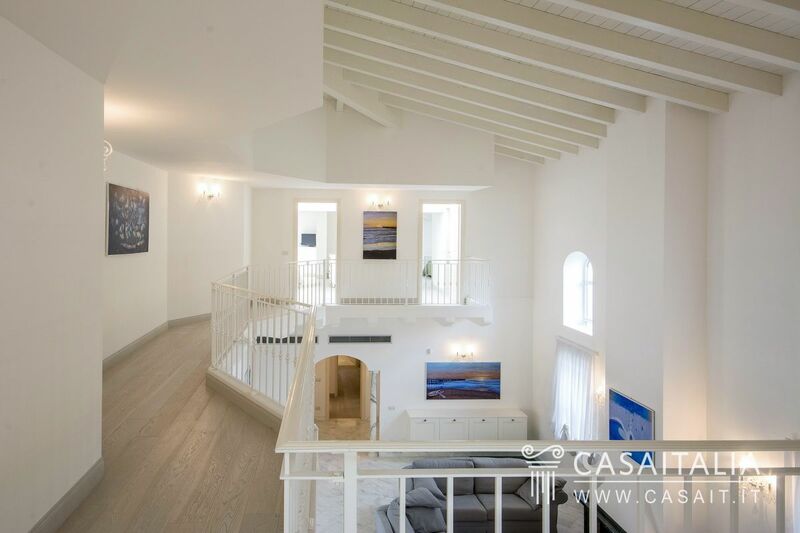 In terms of energy saving, construction classification, and finishings, this villa meets the highest standards. The 900 sq.m garden is beautiful, completely surrounded by tall trees, overlooked by the 40 sq.m portico and the 80 sq.m of connected Pompeian columns, all ideal spaces to spend a cool afternoon relaxing or for peaceful lunches. 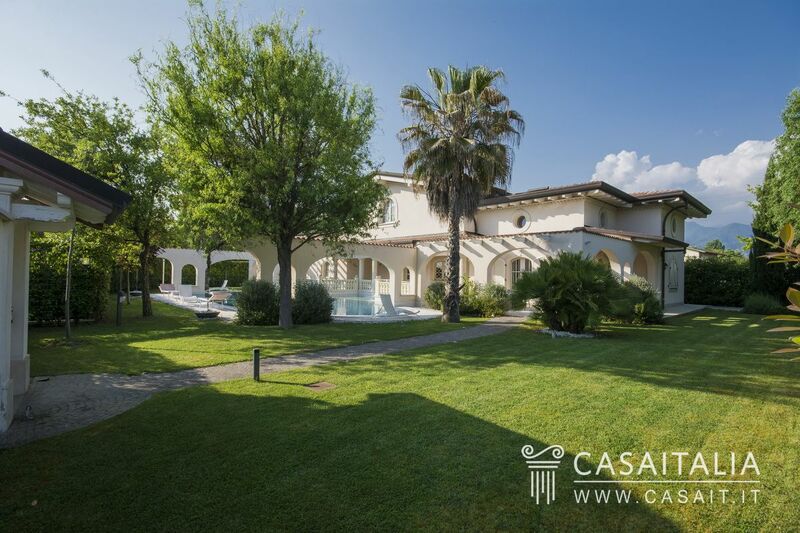 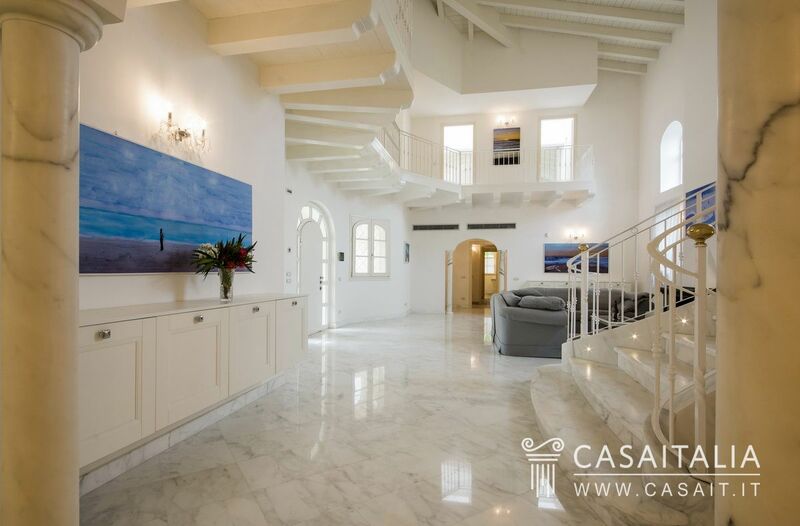 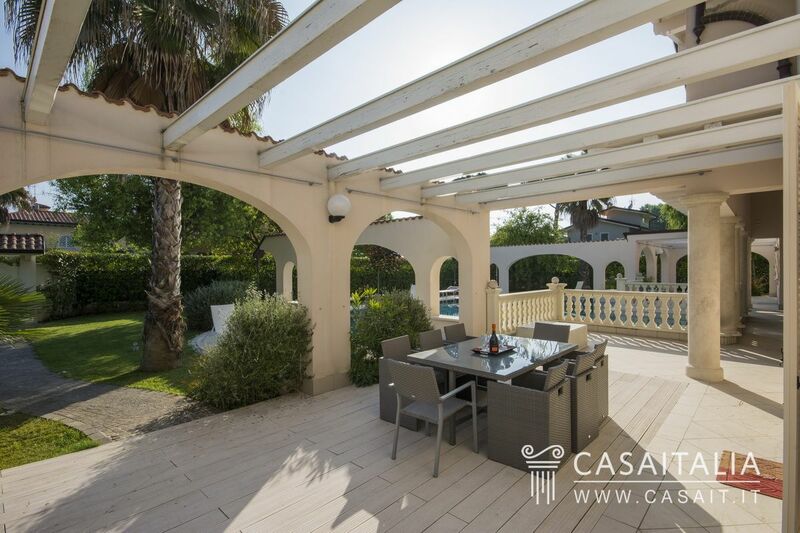 The property is completed by a large, decorative pool which measures over 100 sq.m. 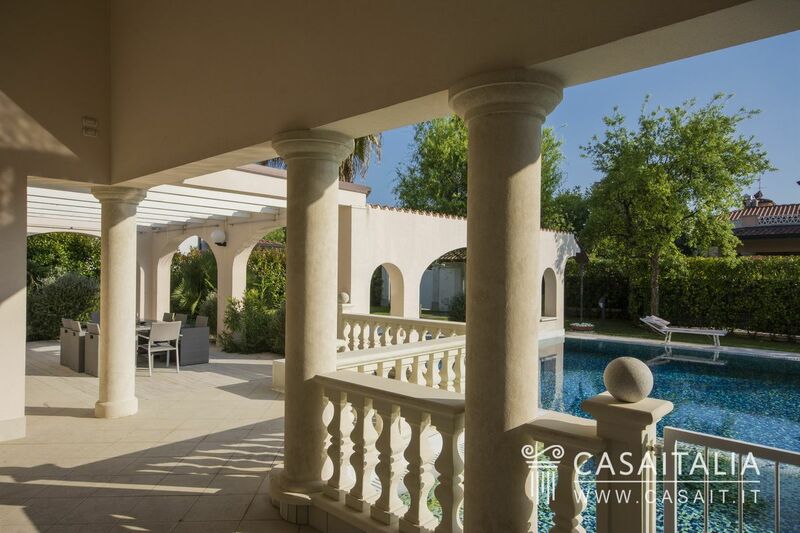 The lanes leading to the inside of the villa provide a clean, organised feel to the architecture of the garden. 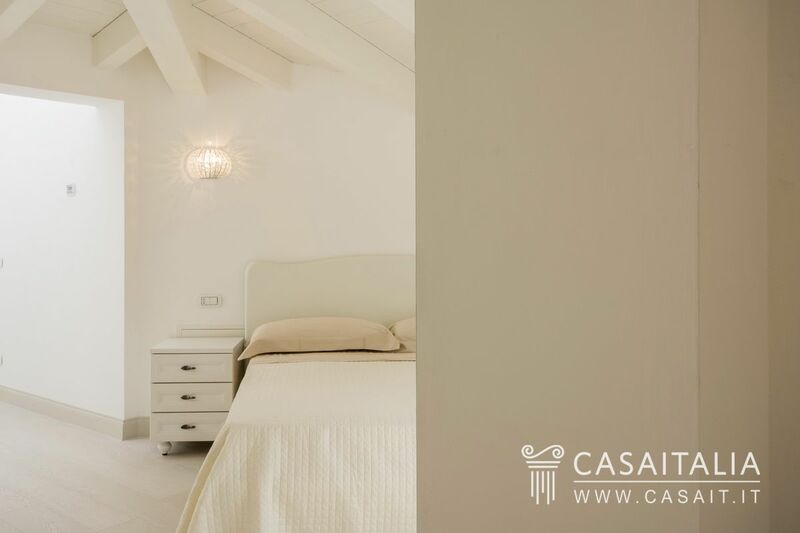 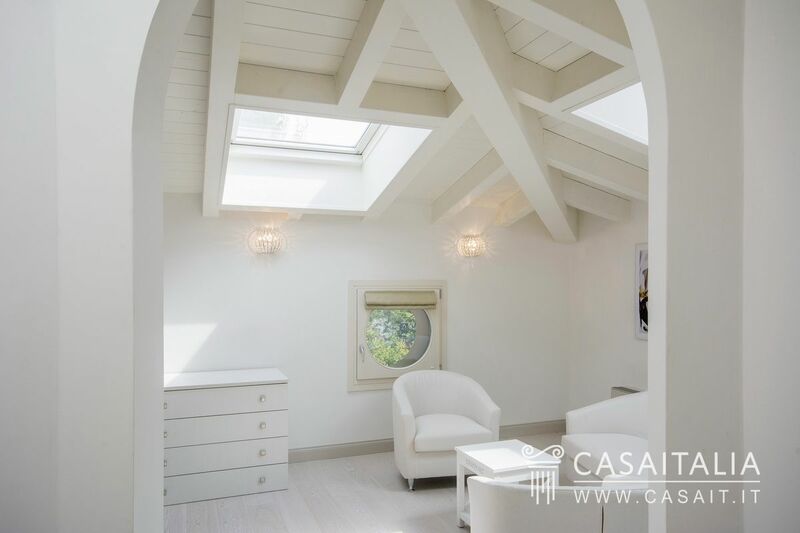 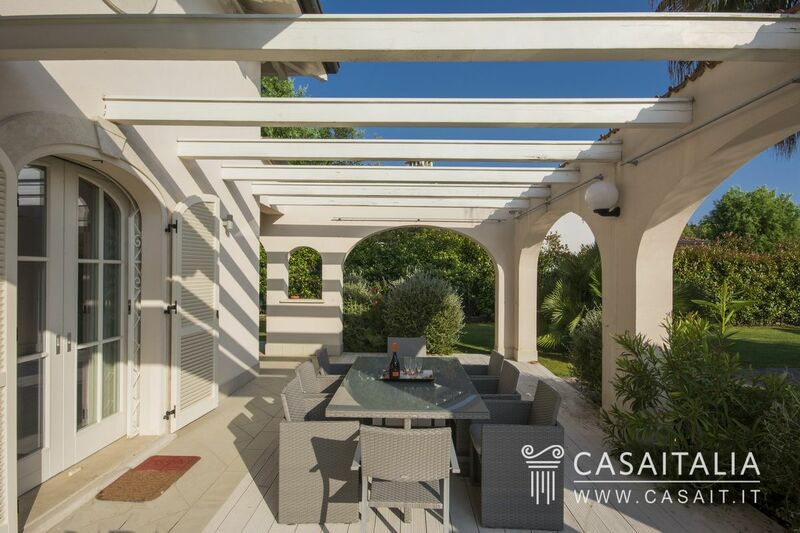 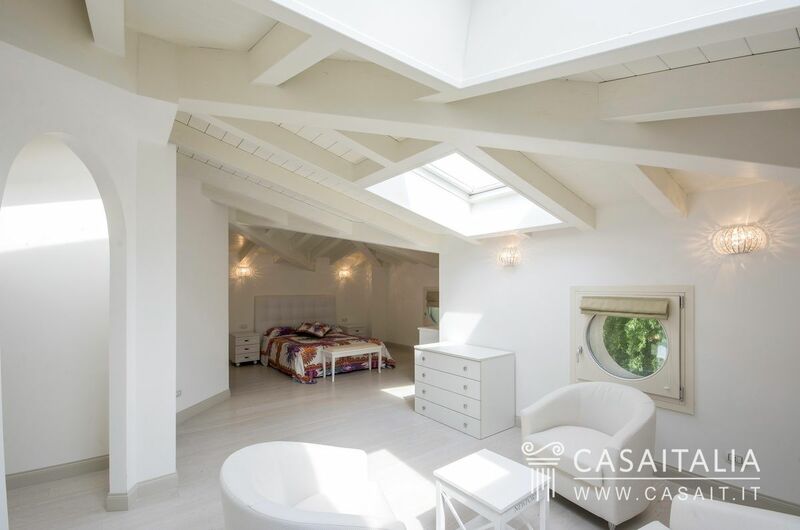 The villa was designed and built to provide a livable outdoor space to be used throughout Forte dei Marmi’s long spring and summer period, allowing you to make the most of its unique climate. Its secluded location in an urban setting, central in relation to all of Tuscany’s most famous cities and its architectural features and luxury accessories, to name but a few, are among the things that make the Villa a perfect main residence or holiday home. 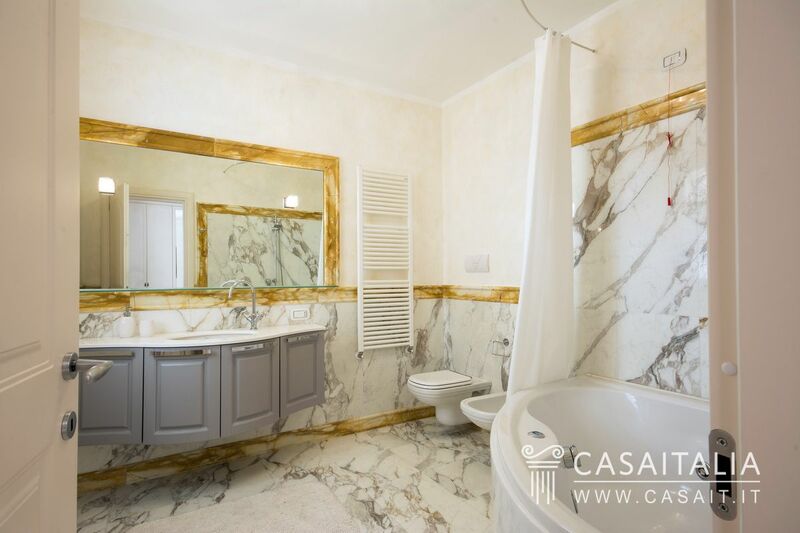 It would also be an interesting investment property, considering Forte dei Marmi’s consistently high property values both in Italy and internationally.